Last spring we suddenly found ourselves watching You Tube videos of people being quarantined in hotels and detained on airplanes by HazMat teams. When we went to the grocery stores, we encountered fellow Americans wearing face masks. And every time we turned on the television, there were news reports about schools closing so desks and lockers could be scrubbed down. And we watched CDC press conferences 5 warning us that the worst was surely yet to come because the H1N1 swine flu virus first identified outside a pig farm in Mexico had the potential to mutate and kill tens of thousands more Americans 6 than the 36,000 that CDC officials tell us die every year from seasonal influenza. It was enough to make us very, very afraid. It was enough to make Congress give drug companies more than a billion dollars of our taxes to quickly create H1N1 swine flu vaccines and then throw in another couple of billion dollars for health officials to deliver and aggressively promote vaccination in Sesame Street ads and on the internet and radio and TV. And while they were at it, Congress shielded everyone who has anything to do with making, promoting and giving swine flu vaccines from all liability in civil court whenever somebody gets hurt or dies after getting vaccinated. It was scary enough to make legislators in Massachusetts and other states talk about passing stronger laws to suspend civil liberties and force people to be quarantined or vaccinated whenever a public health emergency was declared. 10 It was scary enough to prompt New York state health officials to mandate that health care workers get seasonal and H1N1 influenza shots or be fired. And then there were calls by public health officials for children to line up and get vaccinated in schools 12 just like in the polio mass vaccination campaigns of the 1950’s and early 60’s. Throughout the summer, we were told that H1N1 swine flu was sweeping through the country 13 and millions of us had already been infected with the new virus and pregnant women and children were dying. 1Curiously, many Americans over 60 were told they didn’t need H1N1 vaccine because we were still protected by antibodies we got when we recovered from being infected with similar H1N1 flu strains in the past. And then, the vaccine manufacturers, who had been pressing the FDA for decades to let them use reactive squalene adjuvants in vaccines, started complaining that they couldn’t grow the H1N1 virus fast enough. The threat of vaccine shortages suddenly loomed on the horizon. The drug companies complained that they didn’t want to use chicken eggs anymore to make flu vaccines. They wanted the FDA to let them use insects and e coli bacteria and fungus and virus like protein particles and dog kidney cells and other really, really interesting stuff. This is an EMERGENCY they said and drug companies need to be allowed to make flu vaccine any way they want to right now because this is a really serious public health emergency. And, oh by the way, let’s not forget that it is so serious that everyone who has anything to do with making, promoting and giving new flu vaccines need to be shielded from liability in civil court if people get hurt or die after getting vaccinated. Yes, it was enough to make us all very, very afraid. And when we are really afraid, we don’t think we have time to ask questions or double check the facts. We just want someone to tell us what to do right now so we can feel safe and not afraid anymore. By the end of the summer, while the drug companies and NIH were testing the new H1N1 vaccines on several thousand healthy American children and adults, reports started coming out of Australia and the southern hemisphere where they had just finished their influenza season, that the H1N1 swine flu virus was really not so bad after all. It was not causing excess mortality, which means there weren’t more people dying from H1N1 than had died in years past from other seasonal flu strains. Yes, people were getting sick with what looked like influenza just like they do every year but –for most people – it was a few days of fever, chills, body aches, runny nose and cough, maybe some diarrhea, staying in bed, drinking lots of water and juice, and then – feeling just fine again. Abruptly at the end of July – when the Secretary of Health quietly extended the national public health emergency declaration for three more months - the CDC announced they were not going to lab confirm suspected cases of H1N1 swine flu anymore. The CDC told the states not to test Americans who were flooding doctors offices and hospitals with symptoms of influenza and confirm that they WERE in fact suffering from type A or B influenza, especially H1N1 swine flu. The story was – if it looks like influenza then it IS influenza and can be ASSUMED to be H1N1 swine flu. Really? Is that how the CDC “scientifically” calculates how many Americans die from regular influenza every year? The decision to stop testing for H1N1 was followed by an announcement that all children between the ages of 6 months and 10 years - who had never gotten a flu shot before - should get 4 doses of influenza vaccine this year: two seasonal flu shots and two doses of H1N1 vaccine. Further, that the millions of chronically ill and disabled children and adults and also pregnant women should be the first in line to get two shots of influenza vaccine this year. And then Americans, who were still very afraid, started asking questions because most of us, who got sick with flu-like symptoms this year, realized that it was no worse than the flu we got last year. And most of us didn’t know anyone who had died from the flu this year, which was true for most other years as well. Two to Four Doses of Mercury? And then we started asking questions about why young children needed two to four doses of influenza vaccine this year. And we thought - what is up with mercury still being in most vials of influenza vaccine? We thought – is it really a good idea to give children – whose doctors don’t have access to single dose vials of mercury free flu vaccine – two to four doses of mercury this year? Especially when it is against HazMat regulations to pour unused mercury containing influenza vaccine down the drain or toss it into a garbage can? Is It Influenza, Seasonal, H1N1 or None of the Above? And then a veteran investigative journalist at a major news network published an interesting report about the fact that 83 to 97 percent of all specimens of suspected H1N1 cases sent to the CDC by state health departments for lab confirmation last spring and summer came back negative - for not only H1N1 swine flu influenza - but also negative for ANY kind of type A or Type B influenza. at all. Which confirmed what the CDC’s influenza expert said at an FDA meeting in 2003: that 80 percent of all flu-like illness every year is not actually influenza but viral and bacterial infections that LOOK like influenza. Wait a minute. Didn’t President Obama stand up at a press conference in October and say that 1,000 Americans, including about 100 children, had died from H1N1 swine flu? But were those 1,000 H1N1 lab confirmed deaths or deaths that were ASSUMED by the CDC to be deaths caused by swine flu? And how does that number of deaths compare with the 36,000 deaths that CDC officials say are caused by seasonal influenza every year? And then something unusual happened. Doctors started asking questions and privately some of them told their patients not to bother getting the H1N1 vaccine. And the people, who were still being told by health officials to be very, very afraid, started to do their own research using the great new Library of the World, the internet. People started asking more questions of their government health officials – not just in America – but in Great Britain and the Netherlands, in Germany and Italy, in Poland and in Canada and many other countries. And that is where it stands today. Some of us are still very afraid and some of us are not. I am reminded of a famous quote from Abraham Lincoln: You can fool some of the people all of the time and you can fool all of the people some of the time, but you can’t fool all of the people all of the time. And I would urge those of you who want to get seasonal or H1N1 vaccines, to go to the homepage of the website of the National Vaccine Information Center at www.NVIC.org and look at the new Vaccine Ingredient Calculator, which will tell you how much mercury is in those vaccines. And I would urge those of you, who want better vaccine science and the right to make vaccine choices, to become a donor supporter of the National Vaccine Information Center’s research and public education programs. Truth and freedom are not free, especially when there are so many doing so much to limit the people’s access to both. On April 26, a national public health emergency was declared by officials in the U.S. Departments of Health and Homeland Security. We were told it was necessary to declare a national emergency because people were getting sick from a new swine flu virus that began in Mexico and might cause a deadly influenza pandemic. So far, the vast majority of people who get sick with swine flu have symptoms that are no worse than the regular flu and recover completely. The declaration of a national public health emergency last spring set a chain of events in motion: some schools were closed, some people were quarantined and drug companies were given billons of tax dollars to create experimental swine flu vaccines. These new vaccines are being fast tracked by the FDA. We are being told they will only be tested for a few weeks on a few hundred children and adults before being given to children in schools in October. Under federal legislation passed by Congress since 2001, an Emergency Use Authorization (EUA) allows drug companies, health officials and anyone who gives experimental vaccines to Americans during a declared public health emergency, to be protected from liability if people get hurt. The National Vaccine Information Center has been a vaccine safety watchdog since 1982. We are questioning the need to turn schools into medical clinics this fall where swine flu vaccines being rushed to market will be given to children first. We are calling on the Obama Administration and state Governors to provide solid evidence to parents that it is necessary to give children experimental swine flu vaccines in schools. Will States Compensate Vaccine Injured Children? And there are more questions that need to be answered: Are the states prepared to provide financial compensation to children harmed by swine flu vaccines given in schools? Are parents going to be given complete, truthful information about swine flu vaccine risks and have the right to say “YES” or “NO” before their children are lined up and vaccinated in the school setting? Vaccines are pharmaceutical products that carry a risk of injury or death and those risks are greater for some than others. 1 in 6 children in America is learning disabled. 1 in 9 has asthma 1 in 150 develops autism. 1 in 450 has diabetes and millions more suffer with allergies and autoimmune disorders. Will the swine flu vaccine be safe for them? Although it is a good idea for health officials to prepare for a worst case scenario and stockpile vaccines, it is a bad idea to turn schools into medical clinics and basically test experimental swine flu vaccines on children first. Especially when nobody has any liability. That has the potential to hurt children instead of keeping them well. Register now – Special Early Bird registration ends on July 31. Click here for more information about swine flu, swine flu vaccines, public health laws that govern you and you family, and how you can be better prepared to make well informed decisions during the declared national public health emergency. She is just 16: the intelligent, lively pretty girl from Kansas, who was a high school gymnast and cheerleader and got straight A’s until, in 2008, three Gardasil shots changed her life and she became one more Gardasil reaction statistic. Today, Gabrielle never knows when she will be back in the hospital emergency room. Diagnosed with inflammation in the brain and body, the brain seizures won’t stop. She has had strokes. The right side of her body is weakened. She is in almost constant pain. Gabi has developed lupus now. Her doctor says she could die. Gardasil vaccine was fast tracked to licensure by the Food and Drug Administration in 2006. It contains genetically engineered virus-like protein particles (VLPs) and aluminum, which affect immune function. The exact mechanism of protection is unknown and the vaccine has not been evaluated for the potential to cause cancer or be toxic to the genes. It is a vaccine that, by the summer of 2009, already caused more than 15,000 thousand reports of vaccine reactions, including more than 3,000 injuries and 48 deaths. 14 of the girls who died after getting Gardasil were under age 16 just like Gabrielle. At the National Vaccine Information, we issued our first press release in the summer of 2006 warning parents that Gardasil had not been adequately tested in young girls before government health officials recommended that all 11 and 12 year old girls get three doses of the vaccine.12 Merck only studied Gardasil in fewer than 1200 girls under age 16 and followed them up for about two years before lobbyists tried, unsuccessfully in 2007, to get the vaccine mandated for all sixth grade girls in every state. Even though Gardasil was only tested on about a thousand young girls before licensure in 2006, CDC officials told doctors to give three doses of the vaccine to millions of little girls at a cost averaging $165 per dose. Because Merck did not test Gardasil in pre-licensure clinical trials in combination with all other vaccines routinely given to pre-teen and teenage girls, the CDC suggested that safety could be assumed and directed that Gardasil be given simultaneously with other vaccines. Now Merck is asking the FDA to license Gardasil for young boys,16 an action that will expand Merck’s market by tens of millions of dollars. In 2008, the global sales from Gardasil topped $2 billion dollars. But what is Gardasil vaccine supposed to protect our children against? It is supposed to prevent a sexually transmitted virus called HPV. Most people, who have been sexually active, have been exposed to HPV and clear the virus from their bodies within two years without any problems and are left with permanent, lifelong immunity to the HPV strains that caused infection. The small minority of women, who do not clear the HPV virus, can develop cervical cancer and die IF they do not get regular Pap test screening and immediate treatment of pre-cancerous cervical lesions. After routine Pap tests became a standard part of health care for American women in the 1960’s, deaths from cervical cancer dropped by more than 70 percent. In fact, cervical cancer represents less than two percent of all cancers diagnosed in the U.S. every year and is not among the top ten causes of cancer deaths in American women today. About 11,000 American women are diagnosed with cervical cancer every year and about 4,000 women die. Plus Merck, government officials and doctors do not know how long three shots of Gardasil will protect against HPV infection. The vaccine only contains several of the many HPV strains associated with cervical cancer and hasn’t been on the market long enough to know how well it works. In fact, girls are still supposed to get Pap tests even if they have been vaccinated because nobody really knows if Gardasil will prevent HPV infection for a long time without booster shots. So here’s the bottom line: Gardasil vaccine is supposed to prevent a sexually transmitted infection that is naturally cleared from the body within two years by the vast majority of people. Getting regular Pap tests can help prevent almost all cases of cervical cancer and death. Treating Gabrielle’s serious Gardasil vaccine injury has cost her family and insurance company tens of thousands of dollars. How many more Gabrielle’s are out there? We don’t know, even though there have been many similar Gardasil reaction reports from doctors and parents in the U.S. and other countries like Spain and Australia. Fewer than 10 percent, perhaps only one percent of all serious health problems following vaccination are ever reported to U.S. federal health agencies. This means that - instead of the more than 15,000 bad health outcomes following Gardasil vaccination that have already been reported in America – actually there could have been between 150,000 and 1.5 million adverse health events following Gardasil shots which have never been counted. Why? Because many doctors write off Gardasil related hospitalizations, injuries and deaths as just a “coincidence” and do not report. Labeling bad things that happen after vaccination as a “coincidence” minimizes the risks of vaccination. Officials at the CDC and FDA have dismissed what happened to Gabrielle after she got her Gardasil shots as a coincidence. In fact, they have only admitted that Gardasil can cause a sudden loss of consciousness and warn that “FDA and the CDC continue to receive reports of traumatic injuries of individuals fainting and falling after receiving Gardasil. Some who have fainted have had serious injuries from falling, which have often occurred while still in the healthcare provider’s office, and other fainting episodes resulted in motor vehicle accidents.” (This fact makes it dangerous for girls to drive alone to and from doctor’s offices where Gardasil shots are given). But government health officials have told doctors and the American public that ALL of the other serious Gardasil reaction reports, including seizures, paralysis, brain inflammation, rheumatoid arthritis, lupus, heart attacks, blood clots, strokes and deaths in young girls and women, are just a coincidence. How unscientific, illogical and irresponsible. We expect a lot more from doctors in charge of making sure vaccines are safe. What if all of the injuries and deaths associated with Vioxx had been allowed to be written off as a “coincidence” after that dangerous drug had been on the market for years? Every pharmaceutical product, including every vaccine, carries a risk of injury or death. That risk can be greater for some than others.At the not-for-profit National Vaccine Information Center, we have been operating a Vaccine Reaction Registry for nearly three decades. The most tragic cases of vaccine injury we see are when doctors revaccinate babies, children, teenagers and adults over and over again and ignore the fact that symptoms are getting worse and worse after each dose of vaccine. If you or a loved one has suffered a health problem after a Gardasil shot or another vaccine, after a report has been made to the federal Vaccine Adverse Event Reporting System (VAERS), go to http://www.nvic.org/Forms/CivilianReactionPage.aspx and file a report. We won’t dismiss your report as just a coincidence. We will treat it seriously and with the respect it deserves. On the NVIC website, you can sign learn more about HPV and Gardasil Vaccine. You can sign the “Investigate Gardasil Risks Now” petition to Congress and the Obama Administration. 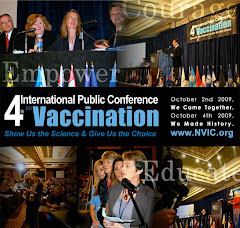 You can sign up for this NVIC Vaccine E-newsletter and register for the Fourth International Public Conference on Vaccination being held this Oct. 2-4, 2009 in Washington, D.C., where you can learn from vaccine experts and network with other families in your state to protect vaccine choices. Empower yourself with information and take action now so we can stop girls like Gabrielle from becoming one more vaccine reaction statistic. The summer will be over before we know it and it will be time for the school year to begin. This fall, many parents are wondering what will happen to their children when they enter the schools. Some public health doctors want to turn schools into vaccination clinics where children will be the first to be injected with experimental swine flu vaccines. Every day we are being warned by doctors at the World Health Organization and the U.S. Centers for Disease Control to worry a lot about the H1N1 influenza A virus, which was first identified in Mexico in April 2009 and is being called the new swine flu. As of June 15, 2009, the World Health Organization states that 76 countries have reported more than 35,000 cases, including 163 deaths. 108 of those deaths have occurred in Mexico. We are being told that nearly 18,000 Americans have gotten sick from the new swine flu virus, with about 5 percent being hospitalized and 45 dying. It looks like people, who are in poor health to begin with are at greater risk of having complications and dying from the new swine flu, which has symptoms just like regular influenza. This is not surprising because people in poor health are always at greater risk of having complications and dying from infectious disease. What a lot of people don’t know is that true type A or type B influenza only causes about 20 percent of all flu-like symptoms that people experience during any given flu season. 80 percent of all flu-like illness in a normal flu season is NOT caused by the type A and B strains of influenza contained in annual flu shots. And vaccine acquired immunity is temporary, while immunity gained after recovering from influenza is longer lasting. The good news about the new swine flu going around is that there are signs those of us born before 1957, may be naturally protected and at LOWER risk of being infected. Why? Because we recovered from influenza caused by similar influenza strains that circulated in past decades and have long lasting antibodies that help us resist infection. So the aging baby boomers have something to be happy about. But will health officials allow our children and grandchildren to get those same kind of natural protective antibodies to type A and B influenza, including this new swine flu? It doesn’t look like it. First, doctors in America have been insisting for the past few years that every child from six months old to age 18 must get an annual flu shot. Second, there are now calls by U.S. health officials to give American children the first doses of experimental swine flu vaccines in the school setting. This is because the response by doctors at the World Health Organization, who immediately went into high gear within days of identifying the new swine flu virus emerging out of Mexico, was to declare a public health emergency. Now, they have increased the pandemic flu fear alert to Phase 6, which is the equivalent of the U.S. Homeland Security’s Code Red warning of an imminent terrorist attack. Doctors at the Centers for Disease Control, who followed the lead of the World Health Organization, have done the same and are exercising unprecedented power that Congress handed over to them after 9-11. Whenever the CDC declares a public health emergency, that declaration allows the Food and Drug Administration to permit emergency use authorization for drug companies to fast track creation of experimental drugs and vaccines that do not have to be tested as thoroughly as vaccines that go through the normal FDA licensing process. In this case, Congress responded to the public health emergency declaration by giving a group of drug companies one billion dollarsto fast track experimental swine flu vaccines that may include whole live19, killed or genetically engineered human and animal influenza viruses, chemicals, and potentially reactive oil based adjuvants that manipulate the immune system to boost the vaccine’s potency. In some states, like Massachusetts, public health doctors have persuaded legislators to quickly pass pandemic influenza legislation that will allow state officials to enter the homes and businesses without the approval of occupants; to investigate and quarantine individuals without their consent; to require licensed health care providers to give citizens vaccines and to ban the free assembly of citizens in the state. What does this declaration of a public health emergency in the U.S. mean for you and your family? It means that, right now, you need to become educated about vaccination, influenza, vaccine risks, and the public health laws in your state. You need to find out what your rights and options are under new public health laws that may require you and your children to get vaccinated or be quarantined. As Department of Homeland Security officials are declaring that any disease outbreak is a matter of homeland security as Department of Defense officials are defining public demonstrations as “low level terrorism;” as CDC officials make plans to re-route airplanes to designated airports with quarantine centers to screen all passengers for signs of swine flu; and as fast tracked experimental pandemic flu vaccines are being created to be given to American children first, it is time for all of us – whether we are public health officials addressing what we believe is a true public health emergency or whether we are ordinary citizens simply trying to protect our health and the health of our children - to act in rational and responsible ways. As government-employed doctors and attorneys, along with drug company lobbyists, move to persuade legislators to deny citizens the legal right to make voluntary vaccine decisions, families in different states are working hard to raise public awareness about the need to protect the legal right to make informed, voluntary decisions about vaccination. Tomorrow, Tuesday, June 2 at 10:30 a.m., parents will rally at the Legislative Office Building in Albany, New York to protest proposed new vaccine mandates and support legislation protecting religious exemption and widening medical exemption. They are voicing opposition to a bill that would mandate HPV (Gardasil) vaccine for sixth graders and one that would allow state-designated vaccine providers to give children hepatitis B shots without the informed consent of their parents. In Washington, D.C., members of the Parents and Citizens Committee to Stop Medical Experimentation in D.C. , a citizen health action group founded in 2007, testified in an April 9 D.C. City Council meeting about the HPV vaccine mandate requiring sixth grade girls to get three doses of Gardasil vaccine. Although there is currently an opt-out provision in the law, parents and health advocates are protesting the lack of vaccine risk information given to girls and parents prior to vaccination and the lack of public awareness that girls can opt-out of the HPV vaccine mandate. In neighboring New Jersey, parent groups have been working since the 1980's and 90's on legislation to protect the freedom to make voluntary vaccine decisions. For the past decade, the citizen action group, New Jersey Alliance for Information Choice in Vaccination Choice (NJAICV) has been educating legislators about the need to enact a conscientious belief exemption bill. A newly formed coalition of organizations supporting vaccine choice in New Jersey has added support to the citizen-led vaccine education campaigns in a state which mandates more vaccinations for children than any other state (35 doses of 13 vaccines). Parents living in West Viginia and Mississippi, the two states which allow only a medical exemption written by an M.D. or D.O., continue to suffer discrimination in their struggle to obtain the legal right to file vaccine exemptions for sincerely held religious, conscientious or philosophical beliefs. A citizen action group, West Virginians for Vaccination Exemption, has been working for 10 years to obtain a religious and/or conscientious belief exemption to vaccination. Parents in that state are now going to court to defend their religious beliefs regarding vaccination, with one mother trying to protect her daughter, who regressed into autism after vaccination, from being forced to get more vaccines that could further damage her brain and immune system. In Mississippi, a recently formed parent support network, the Mississippi Vaccine Information Center, is working on legislation to end discrimination against unvaccinated and partially vaccinated children, whose parents are denied the right to non-medical vaccine exemptions in that state. The group has created a petition that endorses informed consent to vaccination and the inclusion of a religious and philosophical exemption in Mississippi state vaccine laws. Doctors working with drug company reps are aggressively lobbying elected officials to pass laws forcing one-size-fits-all vaccine mandates on all children - even those who may be biologically at higher risk than others for suffering vaccine-induced brain and immune system dysfunction. Refusing to acknowledge biodiversity, doctors are clinging to the illogical and unscientific "coincidence" defense for the sole purpose of remaining in denial about vaccine risks. They are acting without conscience when they discriminate against and fail to protect individual children, particularly the already-vaccine injured, from further harm. Citizen activists working in states to insure that vaccine laws include respect for the informed consent principle are protecting both individual and public health. Speakers defending the human right to informed consent to vaccination will be featured at the Fourth International Public Conference on Vaccination sponsored by the National Vaccine Information Center October 2-4, 2009 at the Hyatt Regency Hotel (near Dulles Airport) in the Washington, D.C. area. 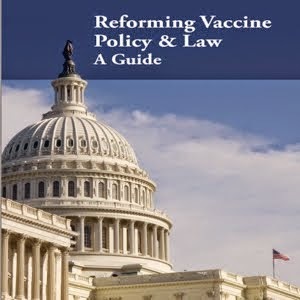 Scientists, pediatricians, bioethicists, legal experts, journalists and consumer advocates will be discussing the science, policy, law, and ethics of vaccination and the conference will feature advocacy training sessions to help attendees educate their legislators about vaccination. The conference forum is being created for families and health care providers who want to defend vaccine freedom of choice and work in their communities to protect vaccine exemptions. For more information and to register for best rates before June 30, click here. Click here to watch a video about NVIC's October Conference. Click here to watch a video of 11-year old music prodigy Sam Debold, who is recovering from vaccine-associated regressive autism, playing the piano at Autism One. Sam is the son of NVIC's Director of Patient Safety, Vicky Debold, PhD, and Sam will be performing again in October at the banquet at NVIC's conference. As many parents head for the Autism One conference in Chicago next week to learn how to heal their children's vaccine-related brain and immune system dysfunction and worldwide anxiety about the swine flu lingers, the National Vaccine Information Center (NVIC) is opening registration for the Fourth International Public Conference on Vaccination to be held Oct. 2-4, 2009 at the Hyatt Regency Hotel in Reston, Virginia near Dulles International Airport and Washington, D.C. The largest and oldest non-profit vaccine safety organization in North America, founded in 1982, is sponsoring the event to provide a public forum for open discussion about vaccine issues of concern to parents and health care professionals. The conference theme "Show Us the Science & Give Us A Choice" reflects NVIC's three decade pro- education and pro-informed consent stand defending the right of citizens to make fully informed, voluntary vaccine decisions for themselves and their children. More than 35 speakers from the U.S. and traveling from Canada, United Kingdom, Italy, Japan, and Kenya will speak about the science, policy, law and economics of vaccination; the human right to informed consent to vaccination; as well as holistic health care options for preventing illness and staying well. Pre-conference state organizing sessions start Thursday evening, Oct. 1, and Friday and Sunday advocacy training, holistic health education and vaccine injury family networking sessions precede a post-conference Monday, Oct. 5 bus trip to Capitol Hill. Friday, Oct. 2 Highlights: Peggy O'Mara, founder & editor of Mothering Magazine and Jane Bryant, founder & editor of the UK internet news service, One Click, start the first day with a discussion about freedom of the press. The keynote address will be delivered by renowned bioethicist George Annas, JD, MPH, Chair of the Department of Health Law, Bioethics & Human Rights at Boston University School of Public Health. HPV vaccine researcher Professor Diane Harper, MD, MPH of the University of Missouri, Kansas City School of Medicine, will examine informed consent issues involving Gardasil vaccine. Evidence for influenza vaccine efficacy will be reviewed by Italian epidemiologist and physician Tom Jefferson, MD, Cochrane Vaccines Field Coordinator. Coming all the way from Kenya is cell biologist and vaccine researcher Bonnie Dunbar, PhD, who co- founded the Africa Biomedical Center, to inform the audience about the multi-disciplinary approach to meeting unique health challenges in Africa. She is joined by Canadian pediatrician Colin Forbes, MD, who will recount his more than 40 years of experience caring for children in Kenya and how he helped reduce child mortality in some of the most impoverished child populations in the world. Returning briefly from a health research position in Japan, MIT doctoral candidate Peter Doshi will outline the impact on democracy of U.S. and global vaccine policies. Human rights activist Shiv Chopra, B.V.Sc., M.Sc., PhD, who was former scientific advisor to Health Canada, and is author of "Rotten to the Core" will give a presentation entitled "Public Health or Corporate Interests?" During what promises to be an historic conference, pediatrician Bob Sears, M.D. offers an alternative schedule for use of 16 U.S. government recommended vaccines and will debate pediatrician Lawrence Palevsky, M.D., who presents an alternative view of how to maintain health and prevent chronic illness. Holistic health pioneers Joe Mercola, DO and Gary Null, PhD will talk about how good nutrition and understanding how to make healthy life choices is the key to staying well, while holistic veterinarian and immunologist, Richard Pitcairn, DVM, PhD, will teach the audience about how good nutrition and homeopathy can keep pets well and Life University Professor Matthew McCoy, DC, MPH will give a chiropractic perspective on informed consent to vaccination. "Will the Law Protect Health Freedom?" is the question that constitutional and federal law experts, along with leading medical privacy and health freedom advocates will discuss. Vaccine injury and product liability law will be the topic explored by attorneys, who have won vaccine injury cases in the federal Vaccine Injury Compensation Program, and also have expertise in vaccine contamination and use of experimental vaccines in soldiers. Longtime vaccine choice lobbyists like PROVE President Dawn Richardson will join longtime autism activists M.I.N.D. Institute co-founder Rick Rollens and Unlocking Autism President Shelley Reynolds and others to help parents organize to educate legislators and protect the right to make informed vaccine choices. During the past few years, there have been calls for elimination or severe restrictions of vaccine exemptions by doctors with ties to the vaccine industry and by government health officials seeking a 100 percent vaccination rate with all government recommended and mandated vaccines. NVIC has long taken a public stand for the basic human right to protect bodily integrity and the October conference provides a public forum not only for those, who want the freedom to make voluntary choices about using pharmaceutical products and medical interventions that carry known and unknown risks, but also for scientists, doctors, journalists and health safety advocates to present information and defend their right and responsibility to investigate and speak about improving vaccine science and policies to protect individual and public health. Are you grabbing your face mask, stocking up on food and Tamiflu, locking your doors and keeping your TV tuned to the news to find out just how bad the "swine flu pandemic" really is going to get? While Americans are being scared to death, few are noticing how much of their tax money politicians are giving to drug companies and government health officials to grease the skids to create more experimental flu vaccines and drugs and more effective ways to quarantine or force their mass use whenever a "public health emergency" is declared in the future. Call me cynical but not clueless. The bird's eye view I have had for the past 27 years at the National Vaccine Information Center has taught me one thing: the global alliance between Big Pharma and Big Public Health is a prescription for disaster that could extend far beyond a bout with the flu. The international drama playing out right now before our eyes is an example of how citizens around the world can be easily manipulated by doctors and politicians engaging in fear mongering in the name of disease control to forward agendas that have more to do with ideology, power and corporate profits than health. When the U.S. Director of Homeland Security is the government official doing the talking rather than the U.S. Director of the Centers for Disease Control, put a copy of the U.S. Constitution in your pocket and take a look at federal and state legislation passed since September 11, 2001 to understand which civil rights you don't have anymore when government health officials declare a "public health emergency." But before we take a look at the threat to civil liberties that pandemic fear mongering poses, let's take a look at how creation of a global human market for influenza vaccines works. It is a blueprint for Successful Marketing 101 (or perhaps it is all just a coincidence). In 2006, the World Health Organization (WHO) issued an international call for all nations to do whatever it takes to increase public appetite and demand for annual influenza shots as the main strategy to prepare for an influenza pandemic. In April 2007, the WHO used money donated by the U.S. Department of Health and Human Services (DHHS) to fund the creation of influenza vaccine manufacturing plants in Mexico and other countries one week after the FDA gave Sanofi Pasteur a license to produce an experimental bird flu (H5N1) vaccine. Sanofi Pasteur is just one of many drug companies the U.S. government has given millions of dollars to for the creation of bird flu vaccines. On February 19, 2009, the FDA's Vaccines & Related Biological Products Advisory Committee (VRBPAC) discussed whether to give approval for the testing of experimental bird flu vaccine on American infants. VRBPAC consumer member, also NVIC's Director of Patient Safety Vicky Debold,PhD, warned that testing of an experimental pandemic bird flu vaccine on infants in the absence of a real epidemic and without assurances that unapproved novel oil based (squalene) adjuvants (AS03, MF59) are safe, could pose unacceptable risks in terms of inducing severe immune dysfunction. On February 27, 2009 it was confirmed that an influenza vaccine maker, Baxter International, had released a mixture of seasonal influenza viruses mixed with unlabeled live bird flu viruses to facilities in Czechoslovakia, Germany, and Slovenia. Baxter, which is waiting for a license to manufacturer bird flu vaccine, explained it was an "accident" and that no harm was done. On April 23, 2009, the world heard the first news reports about a mysterious pig (H1N1) and bird (H5N1)and human hybrid influenza virus that was making people sick near a Mexican pig farm. By April 30, the WHO had issued a Phase 5 "Alert" warning that the world was facing an imminent pandemic influenza epidemic on the strength of several hundred cases of "swine" flu and less than 10 confirmed deaths. The pandemic flu panic that has an especially strong grip on people living in Mexico and the U.S., thanks to the governments of both countries declaring a "public health emergency," has been a good thing for pharmaceutical companies in the pandemic flu business. Wall Street revealed that the pandemic scare sent stock prices soaring for drug companies making anti-viral drugs, rapid flu diagnosis tests and influenza vaccines. Sanofi Pasteur, GlaxoSmithKline, Novavax, Baxter, Johnson & Johnson, Roche, BioCryst, and Vical are among the drug companies likely to benefit from the world pandemic panic. In all the chaos that has Americans running to drug stores to buy face masks, closing schools to wipe desks down with rubbing alcohol and avoiding public transportation, there is action being taken behind the scenes by politicians and government health officials to prepare the way for implementation of future quarantine and mass vaccination of citizens with experimental vaccines and drugs that have by- passed normal FDA regulations for demonstrating purity and potency of pharmaceutical products. A "public health emergency" has become an excuse to grease the skids and rush to market experimental drugs and vaccines that are not subject to product liability in the civil courts. The creation of this pharmaceutical company stockholder dream scenario and simultaneous erosion of civil liberties in the name of disease control began in earnest in 21st century America after the tragic events on September 11, 2001. In a time defined by shock, fear, anger and deep sadness, Congress reacted quickly and passed the Homeland Security Act while CDC officials pulled out model state legislation (Model State Emergency Health Powers Act) that gave sweeping new powers to public health officials to use the militia, if necessary, to quarantine citizens and force them to use experimental drugs and vaccines after the U.S. Secretary of Health declares a "public health emergency." The stampede in 2001/2002 to re-write long standing public health laws in this country was fueled by reports that terrorists were in possession of weaponized smallpox and anthrax, a fear that was fostered by U.S. government officials and New York Times journalists reporting Iraq had secret stockpiles of weaponized smallpox and anthrax. This myth played a role in public support for the U.S.-Iraq War and persuaded Congress to pass Bioshield and pandemic influenza vaccine legislation that gave billions of dollars to vaccine manufacturers, the Department of Defense (DOD) and the Department of Health and Human Services (DHHS) to create experimental bioeterrorism and pandemic flu vaccines while protecting drug companies and doctors from liability for vaccine injuries and deaths that will occur. The mandated, mass use of multiple vaccines has become big business in the last quarter century since the U.S. Congress passed a law in 1986 shielding vaccine makers and doctors from liability for vaccine injuries and deaths and the numbers of vaccines recommended by the federal health officials for American children multiplied from 23 doses of 7 vaccines to 48 doses of 14 vaccines from birth to age six. For older children and adults, there are several dozen more federally recommended or state mandated vaccinations. All of this liability protection and government vaccine mandating has been a boon for vaccine profit- making and public health agency empire building. In 1986, four drug companies made and sold vaccines in America and, by 2007, after corporate mergers and acquisitions there were six drug company giants making and selling vaccines in the U.S. Today, there are more drug companies seeking to enter the lucrative multi- billion dollar U.S. vaccine market as financial predictions for global profits from the worldwide vaccine business by 2010 have climbed to more than $20B. A true global influenza pandemic that could take out projected millions of people is something all nations should prepare for using reasonable strategies to ensure the public health and safety. However, it is a matter of legitimate debate as to whether the primary strategy being urged by the WHO, pharmaceutical companies and government health agencies around the world - ramping up production and use of seasonal influenza vaccine and fast tracking the creation and human testing of influenza vaccines using novel but potentially risky adjuvants and cell substrates - is the way to effectively deal with public health or a future influenza pandemic. Certainly, the loss of the human right to bodily integrity and informed consent to taking pharmaceutical drugs and vaccines that may pose serious health risks is not justified in the name of controlling pandemic influenza or any other infectious disease outbreak. Politicians should not bow to additional pressure from vaccine manufacturers and public health officials to by-pass normal FDA standards in proving safety and efficacy of pandemic flu vaccines and their components for the purpose of rushing them to market in response to the pandemic panic that has been created. The swine flu debacle of 1976 should have taught Congress that lesson. A rational perspective that reduces pandemic fear and includes common sense advice for staying healthy in every season is being offered by holistic health doctors, such as Joseph Mercola, D.O. and physician Congressman Ron Paul, M.D. The next time you turn on the TV or the radio or search the internet for the latest news on the flu pandemic, take a deep breath and consider all the natural ways to stay healthy and resist influenza or any illness : washing your hands; eating nutritious food; drinking plenty of water; getting enough exercise, rest and sunshine, and lowering stress - which includes not walking around filled with fear, anxiety and dread. The cry that was heard around the world in the early 1980's, when mothers and fathers realized an old, crude pertussis vaccine was killing and damaging the brains of their children, is being echoed today by new generations of parents struggling to raise vaccine injured children. As in the 1980's, mothers and fathers today are forced to watch doctors hold the needles, pull the trigger and then turn their faces away when children are cut down at the beginning of their lives. Over the decades, we have seen a handful of doctors demonstrate intellectual honesty and rare courage by standing up publicly to acknowledge that vaccine injuries and deaths are real and that more scientific research is needed to fill the gaps in knowledge about why and how vaccines cause harm. Despite criticism and even threats from colleagues to remain silent, these doctor-heroes have chosen commitment to good science and respect for human life to take precedence over protection of the status quo. On April 3, 2009 on CNN's "Larry King Live," the only woman to have served as director of the National Institute for Health, Bernadine Healy, M.D., firmly countered allegations that scientific research into the vaccine-autism connection should be ended because science has proven "vaccines do not cause autism." Politely disagreeing with Margaret Fisher, M.D., a pediatrician spokesperson for the American Academy of Pediatrics (AAP) and pediatric neurologist Max Wiznitzer, M.D., who testified against compensation for vaccine injured autistic children in the U.S. Court of Claims, Healy said "I really don't believe that this is a closed case from a research point of view." She said that doctors must "listen to the families of these [autistic] children" because when doctors "listen to the patients the patients will teach." She added that there is an "embarrassing recognition that we know so little about [autism] in terms of what causes it, in terms of how to treat it" and she called for a "comparison of children who have and have not been vaccinated." As I watched Bernadine Healy, M.D., mother of three, former director of the Red Cross and member of the Institute of Medicine, eloquently argue for good science, common sense, compassion, and cooperation, I remembered the brave physicians in decades past who chose to speak out at critical moments in the history of the vaccine safety and informed consent movement. They include physicians no longer with us such as the late pediatrician Robert Mendelson, M.D. ; pediatrician and immunologist Kevin Geraghty, M.D. ; and pediatric neurologist John Menkes, M.D., and those still working to prevent vaccine injuries and deaths such as pediatric neurologist Marcel Kinsbourne, M.D., pediatrician Bob Sears, M.D., pediatrician Larry Palevsky, M.D., pediatrician Jay Gordon, M.D., family practice physician Joseph Mercola, D.O., gastroenterologist Andrew Wakefield, M.D., and others like pediatrician Jerry Kartzinel, M.D., who appeared on Friday's Larry King Live show with father and actor Jim Carrey; mother, actress and autism activist Jenny McCarthy; and father and Generation Rescue founder JB Handley, to shine a bright light on vaccine associated regressive autism. In every generation there are heroes in positions of power, who listen to their conscience and demonstrate uncommon courage by refusing to look the other way while people are being harmed. They are different from the rest because they engage in critical, independent thinking and are not afraid to do the right thing. On Friday night, Dr. Bernadine Healy single handedly re-instilled faith in many parents that the time honored Hippocratic oath for physicians to "First, Do No Harm" is still alive and embraced by compassionate, enlightened doctors like her. Undoubtedly, there are more doctors wanting to do the right thing when it comes to standing up, speaking out and taking action to prevent vaccine injuries and deaths. When they do, they will join the distinguished ranks of physician heroes who will be remembered and honored for caring about children for whom the risks of vaccination are 100 percent. "The American Academy of Pediatrics listens very closely before a vaccine is recommended for use. It goes through extensive trials. It goes through extensive information. All of that information is reviewed very quickly. It's both efficacy and safety information. There's never a rubber stamp. We work very closely before, while the vaccine is being tested to see if it works, it is safe? And only if it's been determined to be safe and effective is it recommended for use. It's not a rubber stamp." - Margaret Fisher, M.D. "When I was training in medical school I saw one child with autism and they said, Dr. Kartzinel, now, come look quick, here's a child with autism and you'll never see it again....it was very rare....I was just doing general pediatrics and after my son regressed after the mumps, measles and rubella and my wife said, you broke them now you fix them, that's when I started saying, OK, what can I do?" - Jerry Kartzinel, M.D. "Initially the complaint was Mercury. That was disproven. Then the complaint was MMR. That was disproven. Now we've got a new moving target, which is that the combined vaccines all together that do this. We can only spend our research money so far before we basically say, let's put it where we know for sure we can help, and not just on speculative ideas. Studies have been done .... and they've shown that issues such as diagnostic substitution, which means they had previous diagnosis, that we have loosening of the diagnostic criteria.... When you change the rules of how you make diagnosis, and that to some degree has happened, people are loosening up. Kids with social issues are being labeled as autistic. The majority -- I think we can account for at least 80 percent of the increased prevalence with those numbers." - Max Wiznitzer, M.D.